A loan of $1,350 helped to buy vegetable seedlings to grow and resell, to increase her income. Sonaxanim is 60 year old, a widow and she has a son. She has a high school education and earns the main income for her family by raising livestock and planting crops, which she started doing 22 years ago. Thanks to her tenacity, dedication, and hard work, she currently has two cows. 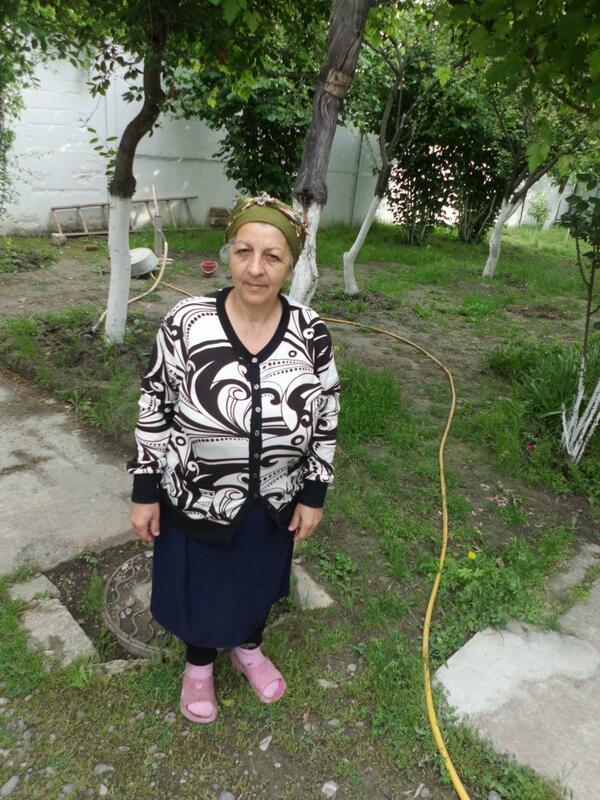 She grows onions, tomatoes and potatoes to sell. Sonaxanim applied for a loan of 1400 azn to buy seedlings to grow and resell. Sonaxanim intends to develop her business and increase her income. Aqroinvest Credit Union was founded in 2001 by a group of 32 farmers from Imishli. It has since grown to become the largest credit union in Azerbaijan, owned by its more than 5,400 borrowers and boasting a portfolio of nearly US$12 million. AqroInvest is focused on providing loans to the following groups of people: rural farmers, people living in distant southern villages with little or no access to finance and internally displaced people and refugees, many of whom lost their homes and livelihoods during the violent conflicts in the 1990s. In May 2011, Aqroinvest started a new project with Kiva proving higher education loans to students. The project gives students the support and financing they need to continue their education and helps pay for tuition fees at various universities in Azerbaijan. Aqroinvest is the first credit union in the country to offer students loans. Kiva supports Aqroinvest’s work to provide significant financial support to internally displaced people (IDP). In fact, it is the only organization that provides loans and works with IDPs in the large IDP Settlement in Bilasuvar.